Styled with mara pant and perkins sweatshirt . If you have to leave the house — throw this on. 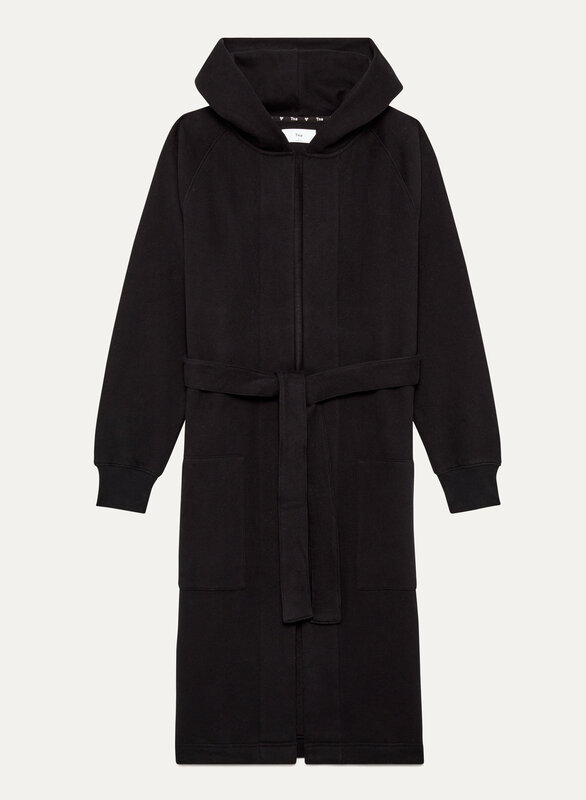 Made from Tna's Classic Fleece fabric, it's like a soft hoodie and a cozy robe came together. Fit of this sweater is definitely more of a classic fit. Not slim or tight (that’s what the tie is for)! Fabric is so nice and soft and the quality is amazing. It’s thick and cozy. Would definitely recommend! I want to live in this! Oversized and so fine. I really do wish I could wear it everyday. It’s so warm too. So many purposes! I am bringing this on vacation with me, it's a must have.